There are a lot of cities upon the planet Earth, in case you weren’t in on that fact gentle internet shopper. 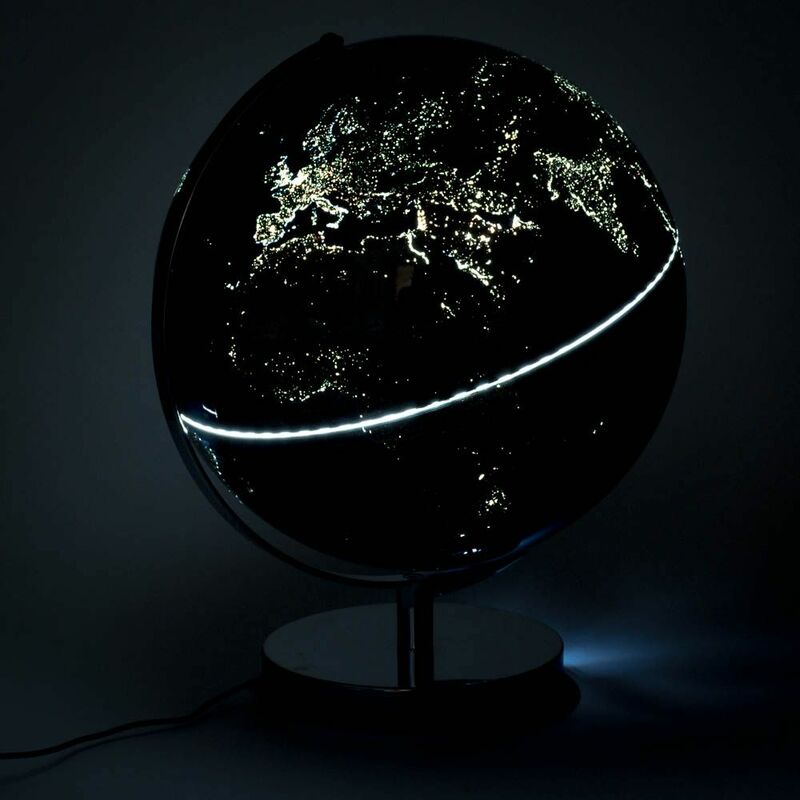 This particular item brings that fact to mind quite readily – a stunning globe that lights up, designed in such a way as to show, roughly, where the lights of all these various cities (and presumably, big towns and such as well) are. Quite apart from making the environmentally conscious among you worry about just how urbanised much of what we call the civilised world is, it makes for a gorgeous display piece, lighting up the room (not to say ‘lighting up your world’, because that would be a terrible cliché) beautifully. This 12-inch Globe Light stands on a stainless-steel base guaranteed to maintain stability, perfect for display in any living room or office locale, and the whole thing comes in a smart looking box, complete with the phrase, “A Brave New World” emblazoned on it stylishly. Simply plug into any wall or USB socket with this included cable and plug included, and be instantly mesmerised by this incredible world.